3239. Grave relief. Local, Macedonian marble. Found at Sandanski, formerly Agioi Anargyroi, in southern Bulgaria. inscriptions next to the two children. 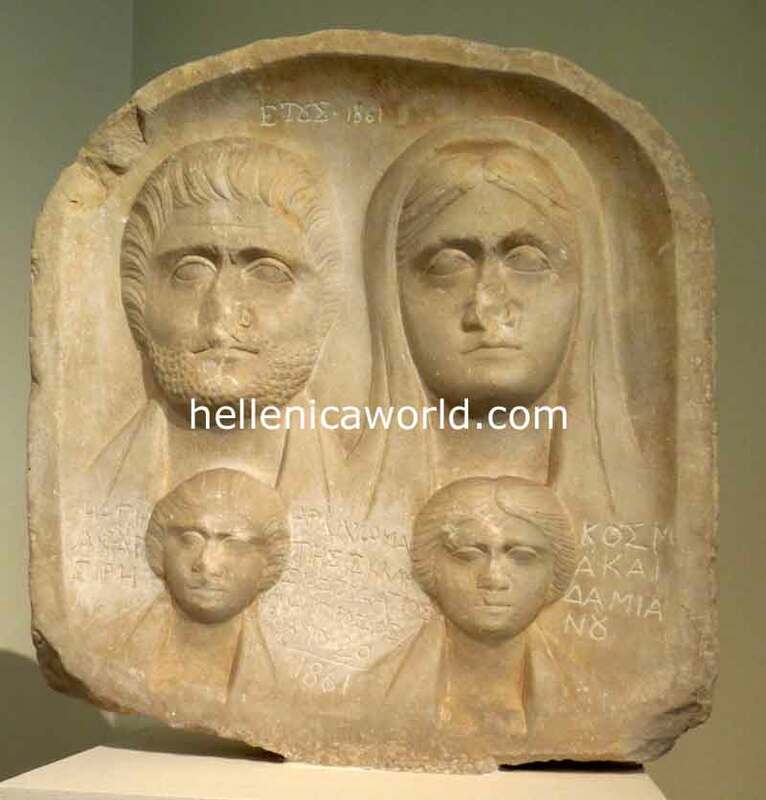 The grave relief dates from the middle of the 3ed c. AD.